Increases arm strength, core strength, and balance. Opens the hips. 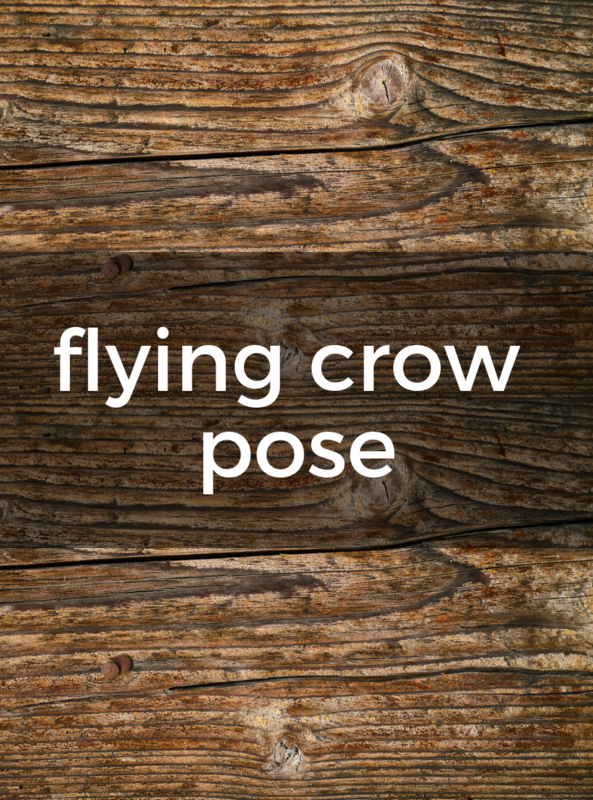 1) Begin in Tree Pose, standing on the left leg. 2) Remove the right foot from the inner left thigh, and place the right ankle just above the left knee instead. 4) Bend the left leg (the standing leg). 5) Hook the toes of the right foot around your upper left arm. Keep the right foot strongly flexed and the toes tightly hugging the arm. 6) Bend the elbows, coming into Chaturanga arms. 7) Bring the weight of the body forward as you lift the left foot off the floor keeping the knee bent at first. 8) Bring even more weight forward as you straighten the left leg behind you. 9) Flex the left foot strongly as you continue to hug the right foot to your upper arm. 10) Repeat on the other side. This is an advanced pose. Beginners should stop at any point if the pose becomes too difficult. People often get stuck on step 7. In order to straighten the right leg behind you, it is crucial to keep the head lifted and the weight of the body moving forward.